Funcom says mixed MMO reviews mean that a game can be improved, not that the reviews are wrong. 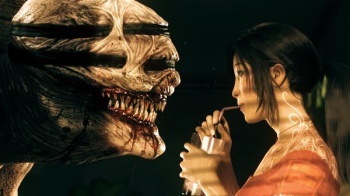 Back in August The Secret World developers Funcom blamed poor Metacritic scores for their falling share price and said in a press release that it was "disappointed" with its low Metascore. Time has passed since then, and Funcom game director Joel Bylos now says that it's "not fair" to blame Metacritic for the game's reception. "The reality is that the game had mixed reviews and as such is indicative that the game is divisive," says Bylos. Mixed reviews, in Bylos' view, are reasons to think that the game could be improved. There's no sense shooting the messenger, and though Bylos still finds the wide variation between reviews - some giving it glowing reports, others panning it - "almost incomprehensible," Bylos isn't inclined to blame Metacritic for something that is outside of Metacritic's control. Evolution is what's needed, and Funcom is prepared to make it happen. "On the development team itself," says Bylos, "there are constant discussions and team management keep constantly updated lists of what they want to address." This includes keeping a close eye on community feedback to see what the players are saying is important to them. Bylos is putting a brave face on, but it's a bad situation for Funcom to be in. Since launch, Funcom has seen its stock price plummet from a high point of $17.70 per share as of July 3rd to a September 20th low of $1.68, though as of right now it is worth slightly more at $2.12 per. The company has seen half its staff laid off and had its former CEO Trond Arne Aas investigated for insider trading, as he allegedly attempted to get out from under before The Secret World's bad news hit. Only 200,000 players stuck with the game after the conclusion of its beta, and there has been talk that Funcom might get out of the MMO business altogether.